For the “5th Wednesday Free-for-All” of the Encourager’s Devotional Series, I’d like to tell you about one of the most encouraging people I know. His name is Kent Sanders and I had the pleasure of attending the launch party for his new book The Artist’s Suitcase last night. One of the things that makes Kent such an encouraging person is his positivity. I had the honor of working with Kent on the faculty at St. Louis Christian College and served on several committees with him. Committee work is seldom fun. The teams we worked together on often had to tackle some tough issues. In situations where there was much room for complaining, legitimate complaining, Kent has a way of looking ahead to solutions instead of focusing solely on the problems. Kent’s not a “hide your head in the sand” kind of guy. He doesn’t white wash the situation. He’s realistic. But there’s something about his approach that makes you think, “We can do this. We can make things better.” Whenever I needed to assemble a team for one of my projects, Kent was one of the first people on my list (sorry for the extra work, Kent). Another way Kent is encouraging is that he shows a genuine interest in others. A conversation with Kent is always affirming in some way. As he celebrated the launch of his new book last night, he took time to ask me how my book was going. And, as yet another illustration of why I find him so encouraging, he said, “Let me know if there’s any way I can help.” I know he truly means that. If you take a look at his blog (linked above), you’ll see he has a passion to help others do well. 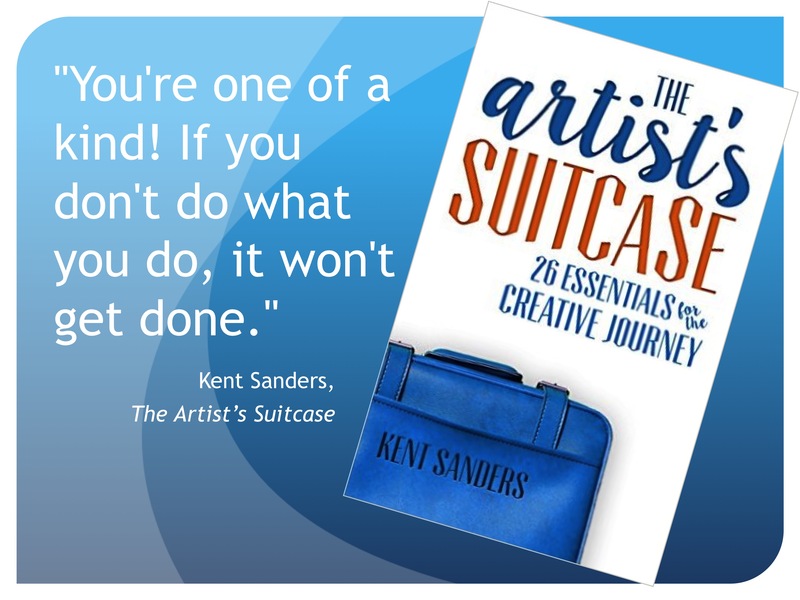 Kent shared a story about how he even encouraged himself at one point in his life. I found that amusing, thinking, Wow, he’s that good at the gift of encouragement. To watch the video of Kent sharing that story, reading an excerpt from his book, as well presenting some beautiful music by his guest band BlackFolk, click here. We can learn a lot about how to be better encouragers by studying the attributes of the people we know who display that gift. How about you? Can you tell us about someone you know who is an uplifting person and share a few examples of how they encourage you?